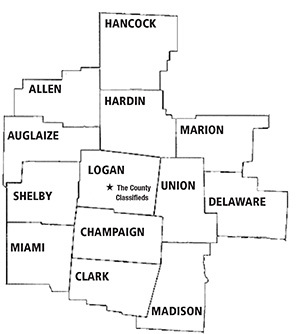 The County Classifieds began in 1987 in Logan County as the Logan County Classifieds. At that time, we delivered in Bellefontaine and the Logan County Area. In the years since, we've increased drop-offs not only in Logan County, but we've added 12 other counties: Auglaize, Allen, Champaign, Clark, Delaware, Hancock, Hardin, Madison, Marion, Miami, Shelby & Union County. We remain the "Home of the Dollar Ad", and are proud to have never increased the price of our $1 classifieds. Our readers advertise their personal items in our paper for only $1 for each item for up to 4 weeks. Locally Owned & Operate since 1994 by Leah Frank, employed with the company since 1992. To see the two most recent papers, click on the "Newspaper" link above. 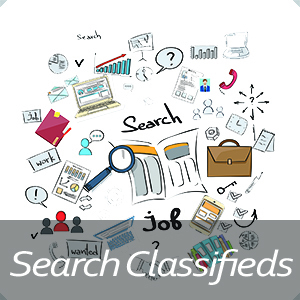 You can now submit and pay for your classifieds through our website. Create a profile above to get started. $1 convenience fee will be added to each classified submitted through the website. DEADLINE Is EVERY WEDNESDAY at 5PM to be in the next weeks issue.